There are so many amazing hikes within Portland city limits or close to the city that we had a hard time narrowing down a list. We opted to share our recommendations for family-friendly trails, waterfall hikes, and best hikes for views. Sure, some of these are more well known, but they shouldn't be missed for first time visitors. If you're a seasoned hiker, we've included some lesser known hikes as well. View of Lacamas Creek and Pothole Falls from the Lacamas Creek Loop. Photo by Tyson Gillard. Get the kids started early with one of these family-friendly trails near the city. Though it's a popular destination on the weekends, Silver Falls State Park is a great trail for children of all ages. Play in the park, see a few falls or, for the older kids, hike the entire Trail of Ten Falls. If you're headed into the Columbia River Gorge, the 2-mile trail to Wahclella Falls or the 4-mile trail to Horsetail + Ponytail Falls make for great family adventures. If you want to stay closer to town, try the Gibbons Creek Wildlife Art Walk Trail, Tryon Creek State Park, or one of the many loops in Forest Park. Just outside of Camas you'll find the 3.4-mile Lacamas Creek Loop Trail that takes you by lakes, three waterfalls and old-growth Douglas fir. For more trails that are ideal for small children, see Hike it Baby's recommended hikes near Portland. There is no shortage of waterfalls in the Portland area, and if you're ambitious you can see more than one in a day. The Columbia River Gorge is home to many great day-hikes that also attract a crowd. Try one of these five falls on the Washington side of the Gorge: Panther Creek, Spirit Falls, Falls Creek Falls, Hardy Falls, or Siouxon Creek. 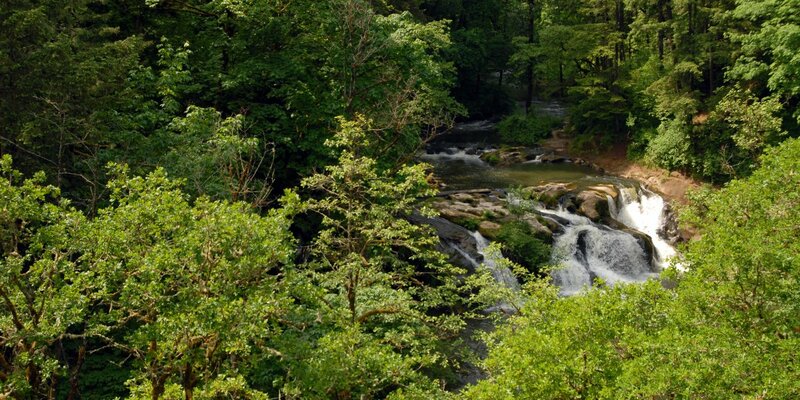 Rock Creek Falls is just outside of Stevenson and is certainly worth a stop as well. If you want to check out the famed Multnomah Falls, start at Wahkeena Falls and hike the 5-mile loop that takes you through giant Douglas firs, past a number of other cascades, and places you at the top of the 690-foot Multnomah Falls. With over 100 waterfalls to appreciate in this area, you may want to have a look at some of our favorite waterfall hikes in the Columbia River Gorge to help you prioritize. Eagle Creek and Oneonta Gorge are two the area's most popular, and most beautiful. 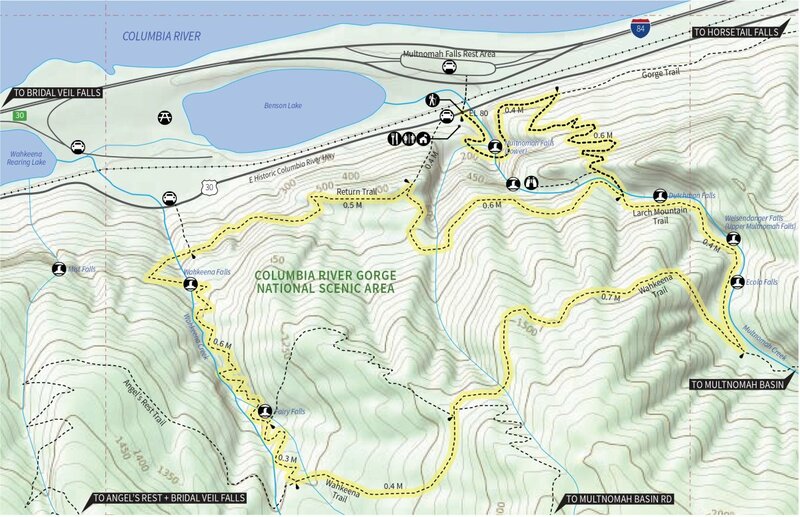 Outdoor Project map for the loop from Wahkeena Falls to Multnomah Falls. The hike to Ramona Falls offers amazing views of Mount Hood and is ideal for hot days as the woods offer reprieve from the summer sun. The hike to Clackamas + Memaloose Falls is a great adventure that sees very few visitors. In the same area you'll find the Clackamas River Trail that follows the river past waterfalls and through more of Oregon's old-growth forests. If you're going to head out toward Silver Falls State Park, take the time to visit Abiqua Falls. The view from the summit of Silver Star Mountain. Photo by Shane Kucera. Still in the Columbia River Gorge, Angles Rest, Cape Horn and Dog Mountain certainly won't disappoint when it comes to the views, but unless you start early or hike mid-week, you may be discouraged by the crowds. 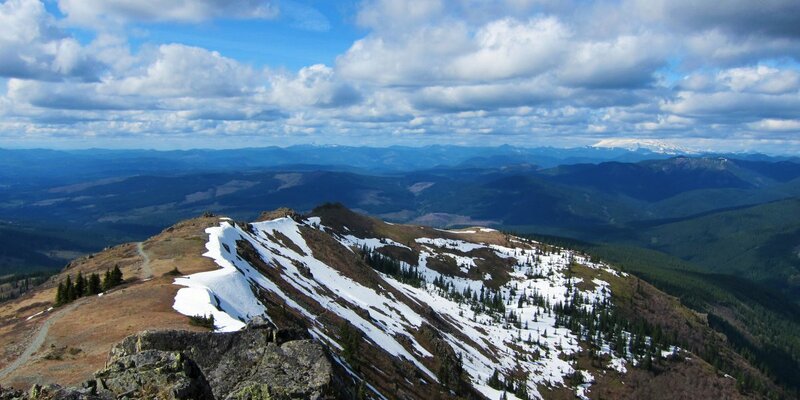 Try the 5.7-mile hike to Silver Star Mountain, the 4.6-mile hike up Little Hamilton Mountain, or the 10-mile, there-and-back to Wauna Point for equally impressive views and potentially fewer fellow hikers. There are plenty of hikes on Mount Hood, and these five lesser-known ones are some of our favorites. They all offer fantastic views of Hood on a clear day. Outside of Welches, the Salmon River West Canyon Trail winds through old-growth forest along the river and eventually climbs to beautiful views of the river valley. Though they are a little further away, there are some amazing views to be found on the Oregon Coast. Saddle Mountain, Tillamook Head, and Neahkahnie Mountain are just a few of the many amazing hikes on the Oregon Coast. For solitude and even more views, head to Elk Mountain in the Tillamook National Forest. Did you know you can download free maps just like the one in this post for all the adventures on Outdoor Project? Just register for a free membership and download as many maps as you want!